It has been a long time since the 8-inch Samsung Galaxy Tab A series got an upgraded version and there are rumors suggesting that Samsung is working on one. 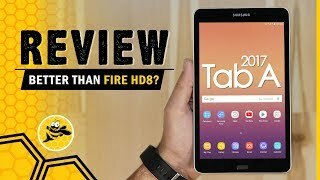 The upcoming Samsung Galaxy Tab A 8.0 2017 or Samsung Galaxy Tab A2 S is still a mystery but we will be discussing about the specs of this tablet based on the leaks and rumors. 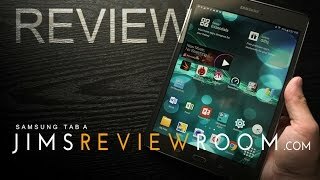 Let’s start with the Samsung Galaxy Tab A 8.0 2017 Dubai price first. It’s safe to say that the tablet will cost around AED 1100 or slightly more right after its release. To find out more about this mid-range tablet and the Samsung Galaxy Tab A 8.0 2017 release date UAE, continue reading. This is the 8-inch version we are talking about here so we already know the screen size. The display did get a boost in resolution compared to the Samsung Galaxy Tab A 8.0 and the upcoming tablet will be showing 1280 x 800 pixels resolution and 189ppi of pixel density. There is no change in design as well which is surprising as it has been quite a while since the tablet went through a major change. We don’t know the exact dimensions of this tablet yet and more about the design and dimension of this tablet will be revealed after the Samsung Galaxy Tab A 8.0 2017 release date UAE. Samsung tablets are quite affordable and the processor reflects the price. The upcoming Samsung Galaxy Tab A 8.0 2017 will be packing the Qualcomm Snapdragon 425 quad-core processor paired with 2GB of RAM. There will be only 16GB built-in storage but users will be able to expand it to up to 256GB using the microSD card storage. It should come as no surprise that the tablet will be running Android 7.0 Nougat out of the box as this is the latest Android operating system for now. To find out how the tablet will perform with this spec, we will have to wait for the Samsung Galaxy Tab A 8.0 2017 release date UAE. There is the powerful iPad Pro or Microsoft Surface Pro 4 that you can also check out. These are more expensive compared to the Samsung Galaxy Tab A 8.0 2017 Dubai price. Tablets are not really used for capturing pictures but if you do depend on your tablet for taking pictures, there will be an 8-megapixel camera on the back and a 5-megapixel front camera. This is an improvement from the 5-megapixel rear and 2-megapixel front camera that we saw in the 2015 version. We don’t know the exact size of the battery yet but we are not expecting any major upgrade here. For those of you who are looking for tablets that are popular for longer battery life, there is the Amazon Fire HD and Lenovo Yoga Tab 3 Pro. As the world’s leading trade show IFA 2017 is almost here, the Samsung Galaxy Tab A 8.0 2017 is expected to be here soon in September, 2017. 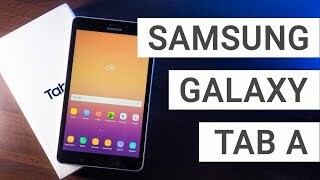 The Samsung Galaxy Tab A 8.0 2017 Dubai price will be also released officially when it’s here. 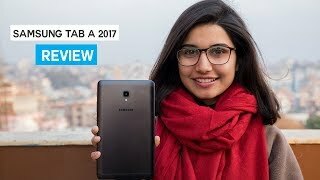 Samsung Galaxy Tab A 2017 Review! Price has decreased 14% from AED 1399 on 2018-10-26 to AED 1199 today.